Firstly - thank you Santa for reading my Christmas list. I love the T-shirt - "Statistics means never having to say you're certain". With the holiday season coming to a close my thoughts are turning to the New Year and even a certain excitement about getting back to work. Time for some new year's resolutions ! One of the key misunderstandings of analytics in the business world and perhaps part of the reason good analytics is not well recognized for the value it creates is that managers think reporting IS analytics. Per my previous post "Reporting is about what happened; Analytics is about answering your questions ... well-built Analytics or Predictive Models can find insights and opportunities that you will never find by any other means." Do good analytics, shout about your success, spread the word. 2. Never, ever build to a manager's spec. If when you visit your doctor he simply writes the prescriptions you ask for, I suggest you go find a new one, quickly. Unless you possess this expertise yourself, you must rely on your physician to diagnose your symptoms and prescribe action. To do otherwise would be very foolish. When you (the analytic expert) are asked to build reports or models without explanation as to what it is for - don't do it. Business managers can help you enormously to understand the business context and the killer-questions that need to be answered, but unless they are also skilled in analytics you must bring that expertise to decide how to provide an effective solution. Do you build everything in Excel or in SQL or your favorite BI tool? Are you writing database code in your favorite (non-database) programming language? Has it been a while since you acquired the skill to wield a new tool effectively. Perhaps it's time to extend your skill-set. The difference in skill-level between an analytic-expert and an amateur is huge. In my experience that skill-gap does not result in +10% incremental return on investment, it's the difference between a successful project and a relative failure. Know when you are getting beyond your skill-level and either set yourself to learning quickly or call in the cavalry. In all honesty, the "analytics" may be the easy part of business-analytics. Even the most technically-adept analytics fail from a business standpoint unless action is enabled. Knowing that implementation of your project could save 20% in cost may give you a nice warm-fuzzy but unless it is implemented you wasted your time and the company's money. Do that repeatedly and you should brush-up your resume. To be implemented, a result must be repeatedly and effectively sold-in to an organization. Take the time to present your results as a simple compelling argument for change and deliver that message consistently and often. What do you think should be on the list ? It's that time of year again: my kids have written, re-written and re-re-written their Christmas lists now so we all hope Santa will read them carefully and take notice. With just a few days left before the holiday season hits I wanted to do something a little more fun, so I've pulled together a list of things that I think every Business Analyst should want. Some are free to acquire, just costing your time to learn, others you may wish to ask Santa (or your CFO) to provide. 32 bit operating systems cannot recognize more than 4 GB of computer memory (RAM), regardless of how much you load onto your hardware. Forget "Big Data" for a moment - you can fill 4GB relatively easy with desktop tools - if you want to do any serious data processing on your laptop/desktop environment you will need more than that. RAM is cheap, easy to upgrade and most modern laptops will take up to 8GB without any problem. Solid State Disks (SSD) provide huge speed improvements over their spinning, hard-drive counterparts. If you are are crunching numbers from file or a local database the hard-drive may well be slowing you down. A modest investment (the 480 GB Sandisk SSD is currently available on Amazon for $360) can save you a lot of time. If you have access to a high powered server this may be of less use, but I was surprised recently to find out just how much computing power you can now get in a desktop workstation. This beast with 2 CPUs (32 cores), 128 GB of RAM and 2TB of super-fast SSD hard-drive costs a little over $6000. That's an awful lot of power (more than most servers I've worked with) for the price of 2-3 good laptops. Excel is a superb tool for interacting with your data for prototyping and occasionally for delivering models and results. It can't do everything and for many problems you will need to turn to more specialized tools but any analyst that tells you they don't use it at all is probably not a very effective analyst. With the ability to write VBA, to customize and embed your own calculations, it can be a very powerful modeling tool indeed. With Excel 2010 and the free PowerPivot add-in, Excel now has the capability to embed powerful BI capabilities too. Integrate data from different sources, load enormous amounts of data, vastly more than the worksheet limit of about 1 million records and define more complex measures and functions to apply to this data with DAX (the Data Analytic eXpressions language). If you are not already there upgrade now to 2010 - make sure its the 64 bit version to blow past the 4GB memory limitation. OK - I know - those of you who are heavily invested in another package (SAS, SPSS, Statistica, ...) do not get this. Those are great tools and why should you change? Well, I'm not suggesting you swap one package for another - I'm suggesting that there is room in your head for more than one tool and R has a lot going for it. According to Revolution Analytics R is now available as an embedded, in-database analytics engine for Oracle, SAP HANA., Neteeza, TeraData and others. This is a very exciting development allowing advanced statistical capabilities to be called from within the database from SQL. Handle routine analytics in-line and on-demand. It has packages to do an enormous variety of statistical analyses, you will probably not need or use even 90% of them. It has great graphical capabilities for visualization. It's callable from .NET languages too via RDotNet. The interface is not well documented, but it does work. The user interface is "ugly" unless you love command line applications - I don't. RStudio does help with this. There are a lot of commands to remember, I use my cheat sheet a lot. In reality the time to learn SQL was probably about 20 years ago, but if you have not yet done so, catch up quickly. SQL (structured query language) is the programming language for relational databases. Whenever you interact with a database it is some dialect of SQL that interacts with the database to select update or insert your data efficiently. Most of your data will now come to you from a database of some form. It is a common requirement to integrate data from multiple sources (without losing any), filter, aggregate and sort as a precursor to more advances analytic routines. This is what the databases does superbly well - if you're doing this in Excel or indeed any non-SQL environment, you are working to hard. While you are at it, get a good grasp of database design principles and normalization too. 2013 - the year for Column Oriented Databases ? Column storage is not a new idea in relational databases, but perhaps it's an idea that is about to mature. Regular, relational databases physically store rows of data together which is very efficient for transactional databases that update and retrieve a few rows at a time. A column-oriented database stores entire columns of data together. This is very efficient for systems where aggregates are computed over large numbers of similar rows - such as in data warehouse reporting and analytics Notably, SQL Server 2012 released its first direct support for column storage this year. It's not perfect, particularly as the implementation limits how you can write to the database, but it is fast. My own testing on a large database showed a 10-fold increase in speed on large aggregation queries and almost linear scaling as the number of fields chosen (and hence the number of columns that must be accessed) changed. Column Storage is exceptionally fast and could allow for significant changes in system architecture for reporting and analytic tools. How about POS analytics? Straight from database to reports without the need for any custom-architecture, pre-aggregation, cubes or waiting on batch processing? Want to update a few Item attributes and re-run your reports now? No problem ! (Embed in-database analytic capability so you can do more than add/subtract/multiply/divide and you have a serious number-crushing platform). The #1 item for your list - a (much) bigger dry erase board. At times, it seems I can't think clearly without a dry-erase board and pen. My own workhorse is a 8'x4' board that sees heavy daily use, but bigger ideas need more space. 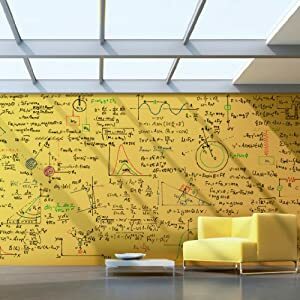 Amazon has a dry-erase paint on offer that I may have to try - enough for about 30 linear feet of wall for $500. So what do you think should be on every good Business Analyst's Christmas list? Am I missing this year's top gift? What should a "naughty" analyst receive - more bad data? Let me know in the comments section. P.S. Santa - if you're reading this, I rather like this T-shirt from CafePress.com too. When you search the web you'll find lots of analytic tools to support your business: tools to help with forecasting, inventory-optimization, risk-analysis, simulation for production lines and warehouses, production-scheduling, supply-chain network design, vehicle-loading, price-sensitivity modeling and planogram building - and that is very, very far from being an exhaustive list. Some of these tools are bought as a service that includes expertise to prepare your data, do the modeling work for you and configure the system to meet your needs. These tools will be much more expensive than the "your on your own" variety and the more frequently that expertise is required, the more you will pay. If the business problem you are working on is relatively stable (meaning that the same issue comes up repeatedly and your business rules around how to solve it stay the same) such a system can have a long a fruitful life once set up. Vehicle loading applications are a good example - once configured to your needs they should need infrequent updates to work well. Let's look at an analogy - driving a car. Cars are very complicated things and yet almost every adult can drive one. Why would business analytic tools be any different? Cars are certainly complicated but I see no reason a 10 year old could not master driving one because they do not need to understand or master most of that complexity. Cars have been around for a long time and have seen billions, perhaps trillions of dollars invested to make them robust and hide almost all the complexity from the driver. Cars have relatively few controls that you need to understand to operate them: ignition, steering wheel, brake, accelerator, turn-signals, lights, mirrors, windscreen-wipers and gear selector. I know there are more gadgets but master these few (and hoping I missed nothing important) you can drive a car. In contrast most business users are ill-equipped to take on analytic tools where the complexity remains very apparent: there can be hundreds of options to choose from in building and executing your models and these must be understood to use the tool effectively. Let's make a distinction here between getting a tool to work and getting it to work effectively. I've seen a lot of spreadsheet using Excel's Solver add-in which solves optimization models: you build a spreadsheet that models some aspect of your business then ask it to find the combination of input values that maximize your output (profit, sales or some such value). If you built a model with no errors and avoided a handful of functions that this optimizer can't handle it will run and most likely return an answer. It may even be able to guarantee (depending which algorithm it used) that this is the absolutely best answer available - the optimal solution to your model. Unfortunately, many of the models bear little resemblance to the real-world issue you are trying to optimize and consequently the optimal solution for the model is not particularly good (and certainly not optimal) in the real world. In my opinion, there are very, very few analytic tools that are truly accessible to business users without some configuration, packaging or guidance from an expert. If you are serious about solving a business issue that needs some analytic work, you need the tool and the mechanic to wield it. The field of Business Analytics can be very complex. Top level analysts are experts; just like medical specialists, they have undergone years of additional training and know their area of specialty (perhaps price sensitivity, multivariate statistical modeling, survey analysis or mathematical optimization) backwards. Keeping with this analogy, most business managers are as well informed as to what business analytics can do for them as a patient heading in to see their primary physician; perhaps less so. In the medical world there is a wealth of information specifically written for non-experts available on the web. We see legions of ads for pharmaceuticals that inform us about new conditions and their chemical solution. Many of us will routinely see a primary care physician (that’s ‘General Practitioner’ for those of you in the U.K.) and at least be familiar with our own complaints. When we have an issue with our body, we head to the doctor and let him direct us. In the business analytic world we have done less well at making it accessible to managers. Most of the published material, easily accessible via the web, is not intended for general consumption. It’s very useful to those already initiated into the craft, but if you do not have a very strong mathematical/statistical background, good experience applying these skills in a business environment and some idea what to search for it may as well not exist at all. An excellent example, there is no equivalent of WebMD’s SymptomChecker. Perhaps also why I have seen no analytical version of a hypochondriac :-). As a business manager when you encounter a tough problem you often just try and ‘work it out’. After all that’s what managers are paid for, right, to "manage" ? You self–medicate, potentially causing harm or, at least, not addressing the real issue. The business analytics world is new – it has no certification process, no minimum educational requirements and no clear terminology to identify practitioners by what they do best. By my experience there are many good analytical providers out there, most of whom have expertise in specific areas. Sadly, you cannot open the Yellow Pages or search online and find a Primary Analytics Practitioner. (I just Googled the term and found nothing useful to me). In finding one, you're on your own for now but take heart, these people are out there, it's not just me. When you do stumble across someone with a breadth of analytical capability, an understanding of your business problem, the ability to directly handle many of your analytical needs and the willingness to say “I don’t know this well enough, but I can find someone who does” use them wisely and stop self-medicating. I've blogged before about the need to use the right tools to hold and manipulate data as data quantity increases (Data Handling the Right Tool for the Job). But, I really want to get to some value-enhancing analytics and as data grows it becomes increasingly hard to apply analytical tools. Let’s assume that we have a few Terabytes of data and that it's sat in an industrial-strength database (Oracle, SQL*Server, MySQL, DB2, …) - one that can handle the data volume without choking. Each of these databases has its own dialect of the querying language (SQL) and while you can do a lot of sophisticated data manipulation, even a simple analytical routine like calculating correlations is a chore. This calculates just one correlation coefficient between 2 years of sales. If you want to calculate a correlogram showing correlation coefficients across all pairs of fields in a table this could take some time to code as you are re-coding the math every time you use it with the distinct possibility of human error. It can be done, but it’s neither pretty nor simple. Something slightly more complex like regression analysis is seriously beyond the capability of SQL. Currently, we would pull the data we need into an analytic package (like SAS or R) to run analysis with the help of a statistician. As the data gets bigger the overhead/delay in moving it across into another package becomes a more significant part of your project, particularly if you do not want to do that much with it when it gets there. It also limits what you can do on-demand with your end user reporting tools. It’s possible to build some capability into Microsoft’s SQL Server using .NET/CLR and I have had some direct (and quite successful) experience doing this for simpler analytics. Some companies seem to be pushing it further still and I look forward to testing out their offerings. (Fuzzy Logix, XLeratorDB). No doubt there are other options that I have not yet encountered, let me know in the feedback section below. For complex modeling tasks, I am certain we will need dedicated, offline analytic tools for a very long time. For big data that will mean similarly large application servers for your statistical tools and fast connections to your data mart. For simpler analysis, in-database analytics appears to be a great step forward, but I’m wondering what this means in terms of the skills you need in your analysts: when the analysis is done in a sophisticated statistics package, it tends to get done by trained statisticians who should know what they are doing and make good choices around which tools to deploy and how. Making it easier to apply analytical tools to your data is very definitely a good thing. Applying these tools badly because you do not have the skills or knowledge to apply them effectively could be a developing problem. The current Wikipedia page on Cluster Analysis, excerpted below, is correct, detailed and makes absolute sense. Then again, if you do not have a background in statistical modeling, I'm guessing these two paragraphs leave you no wiser. Cluster analysis or clustering is the task of assigning a set of objects into groups (called clusters) so that the objects in the same cluster are more similar (in some sense or another) to each other than to those in other clusters. Clustering is a main task of explorative data mining, and a common technique for statistical data analysis used in many fields, including machine learning, pattern recognition, image analysis, information retrieval, and bioinformatics. In this post I hope to provide a workable introduction for people that need to be educated consumers of cluster analysis. Let's put this in context with an example. Assume we are working with a retailer that has 1000 stores and they want to decide which dairy products to put in each store to maximize sales. One option would be to treat all stores as being the same, come up with one assortment list and put it everywhere. This has the singular advantage of being easy to execute while leaving all non-mainstream products off the shelf. At the other extreme, we could try to tailor product assortment individually by store. Did I mention there are 1000 of them? Apart from the work involved in building 1000 individual analyses, do we have the discipline to execute such analyses consistently across 1000 stores? Would we have sufficient organization to execute these unique selections in 1000 stores? Most teams will end up working with groups of stores that they consider "similar" as a compromise. These groupings may be based off single store features (e.g. stores with more than 30% of sales from premium products) or maybe geographical features (e.g. everything in the South East). Bear in mind that, if you are trying to do this without statistical help, they do need to be very simple groupings . It sounds rather like magic doesn't it? You just throw data at the algorithm and (big fanfare) it finds clusters! Well perhaps it's not quite that easy. It does take some care to prepare the data, ensuring it's clean, accurate and in a form that works for this process (see Data Cleansing: boring, painful, tedious and very, very important). In reviewing the results you may decide to drop some features and split out others (e.g. "Premium" is split into "Premium" and "Super Premium"). You need to determine how many clusters are correct for your data. Really an extension from basic clustering, but you could build predictive models to explain why , for example, super-premium, greek yogurt is so very popular in Cluster 4. If you can tie high sales of this product group to specific demographics, you may find other stores with similar demographics that have not previously sold it. (Could be a big opportunity). Cluster Analysis finds better groups (clusters) of similar things. Clusters help you target your offering without dying under the weight of work.